Firebirds is one of the best spots to get a drink before catching a movie at Southpoint. The drinks are pricey, but aren’t they at most spots I frequent? I know what I like and that’s quality liquor and bartending, both of which chain restaurants often fail at spectacularly. Firebirds is an exception. 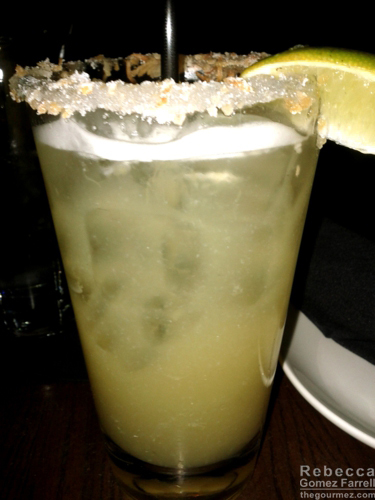 The CocoNUT Margarita, made with 1800 coconut tequila and sweet and sour mix made in-house, is more proof of that. What makes it good is that the 1800 coconut tequila is no gimmick. It’s infused with coconut water rather than being one of those plasticky, super sugary, novelty flavors of liquor. The coconut comes through clearly and smoothly and combines with the mix to make a delicious margarita variation. You know that toasted coconut rim just makes it better.